The welded cantilever design of our C-Leg bench combines leg room comfort with the strength to support 750 lbs on the work surface. 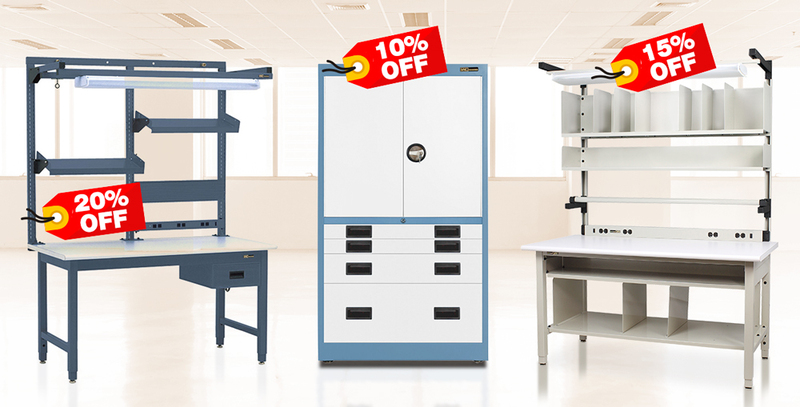 And with integrated uprights, you're ready for extra shelves and overhead lighting. 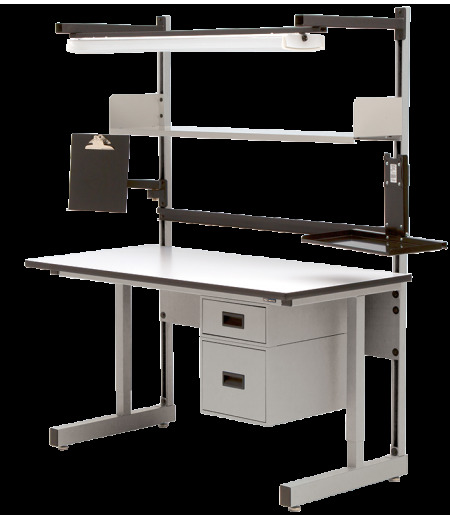 The adjustable height worksurface is 1-inch thick with T-mold edging, and is surfaced with Standard and ESD laminates; ESD work surface includes a single grounding stud with 10-foot ground cord. (laminated back edge for accessory options). Unistrut uprights to support shelves, swing arms, and overhead lighting are included; they mount vertically along the back side of the bench. 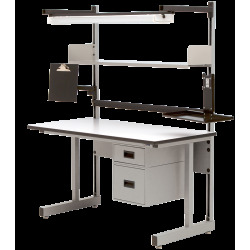 Worksurface adjustable height range is 30″ to 36″ inches, adjustable in 2-inch increments. Assembly instructions and hole pattern templates are provided for easy assembly and add-on accessory options.